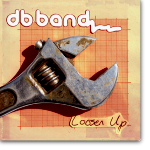 "Loosen Up" is the second EP from Mick Quinn and the DB Band. Released in 2013 on the bands own Bigarm Records, it features four new and original compositions. 'Loosen Up', 'Falling Down', an acoustic version of live favourite 'Up In Smoke' and 'Pocahontas'. Filmed in an abandoned psychiatric hospital outside Paris, the video for 'Loosen Up' was directed by up and coming French director Simon Fauquet and can be viewed here. 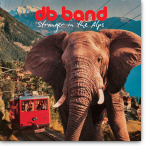 "Stranger In The Alps" is the DB Band's first EP. Released in September 2011 on advanced CD, it containing four original tracks, the video for the title track and hidden 'easter eggs'. See "Stranger In The Alps" video here. Destined to become a collectors item, very limited stock remains.